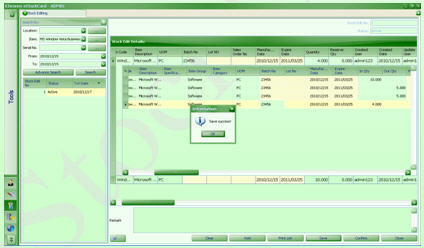 Stock Edit is an editing screen whereas the administrator user can perform modification / adding or deleting the stock inventory data from the current inventory or their history. 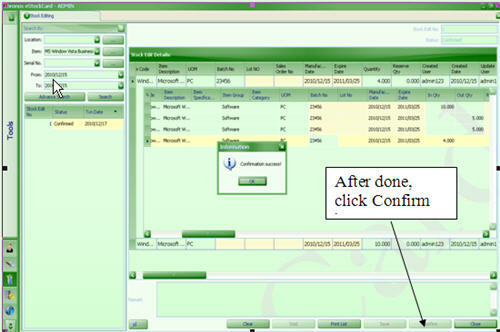 It is useful if some of the users accidently entered wrong information to the items which are being stored into the eStockCard such as batch no, lot no, supplier name, customer name, PO no, Invoice no and etc. 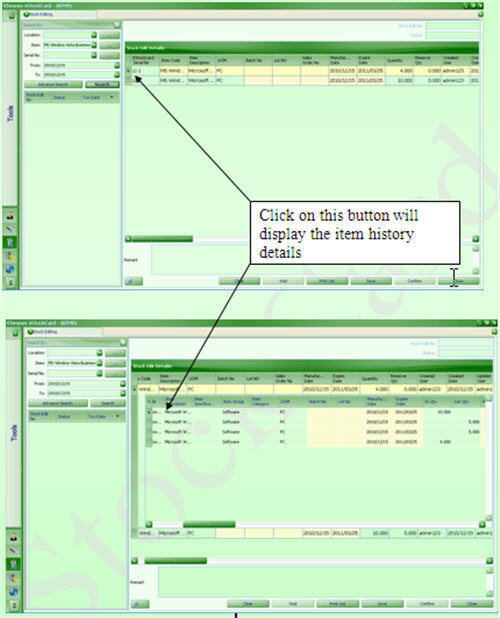 However please note that information such as the eStockCard serials no, item code, item description, quantity cannot be edited from the edit screen. 2. 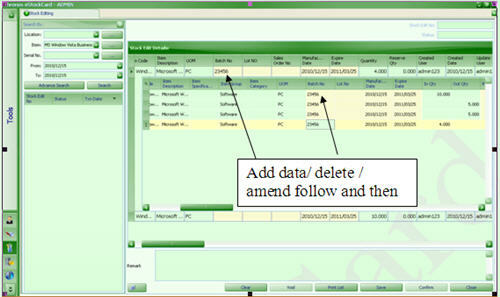 To perform edit, the stock can be search by their location code, item code or serial nos. 3. 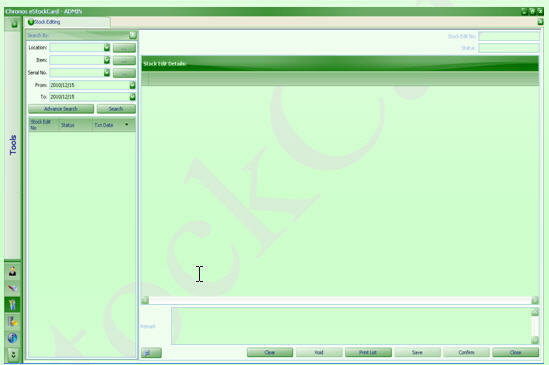 Once selected, the item/s will be listed.